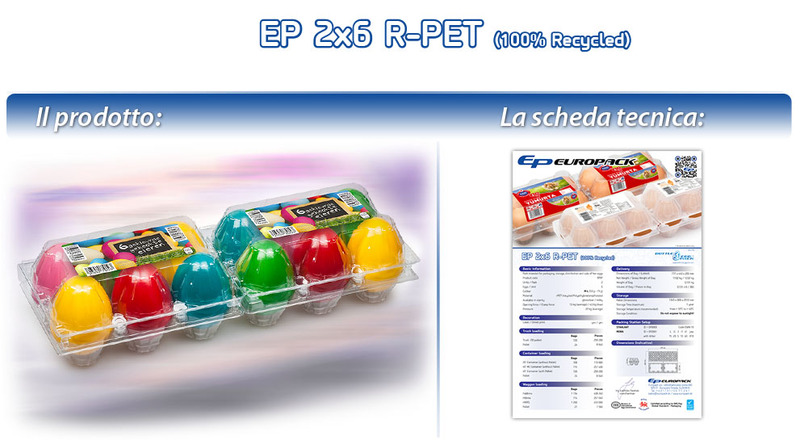 EUROPACK offers clear plastic egg packaging - products of the highest industrial quality, for merchandising to encourage and to increase sales of eggs. Europack as a joint Stock Company was founded on 11th December 1991. The aim was to maximise partners experience gained in the packaging industry and to undertake large-scale privatisation. The factory was purchased in Dunajska Streda which since 1979 was already producing packaging for the food industry. Production commenced under the new organisation and after initial difficulties (dissolution of Czechoslovakian market & currency devaluation) the company began to achieve initial success in domestic and foreign markets. Following these changes, the annual increase in sales and production grew by more than 20%. Towards the end of 1990’s exports were exceeding domestic sales, the key products were plastic packaging. By 2000 the key products has emerged as dairy and also egg packaging. Meanwhile, there was a change in the shareholding structure and the company developed with strategic investors allowing access to foreign loans with favourable interest rates and to build a distribution network throughout Europe. Slovakia joined the European Union removing many other adminstrative barriers and allowing an increase in export share to 70%. Increasing market competition caused a decision to be made whether to continue with production at Europack for dairy or egg packaging. Given that the egg packaging market which had been establishing since 1978 had the biggest potential for growth there was a decision to redepoly the entire market share of packaging for the dairy industry including production machinery and equipment to a new site. The generated funds were invested to make the development of the site to become largest manufacturing company in Europe for plastic egg packaging. Total installed capacity currently stands at 500 million units per year. Production takes place in a three-shift operation with in-line production. Today exports total 95%. Every egg pack is certified and produced on a very high level of quality. During 1990’s the company secured distribution of products through trading foreign companies, over time market conditions shaped the future for Europack. Market forces pressured Europack to remain fit for survial in difficult conditions. The organisation changed in 2010 with a new aim to improve the communication between customers and the manufacturer, this determined that Europack invested to build and establish fully operational inhouse departments by February 2011 for sales and technical service. Our goal is to supply egg pack to every country in the world.